In this programme students take part in the life of a foreign school student. The student attends a local school and is helped by a local student (a 'buddy') that introduces him/her in the academic daily routine. The programme allows every student to increase his/her Foreign Language level by bonding with another students their own age. The host family will introduce the student to the most characteristic features of the local culture and life, allowing him/her to contrast them with his/her own. LAI colaborates with nearly 60 Secondary Schools in Madrid (Spain). Most of them have shown interested in participating in a traditional exchange such as this one. 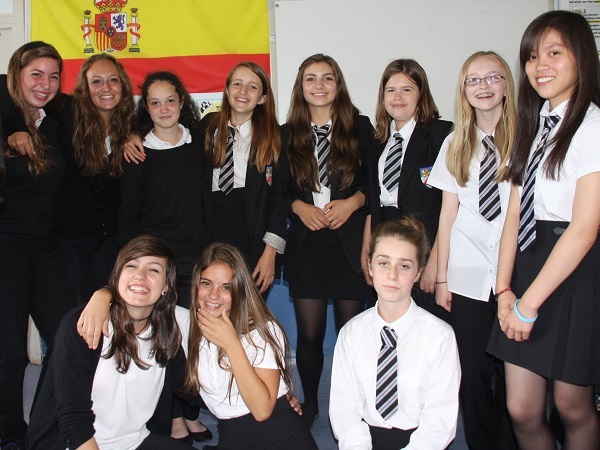 Each group visit the foreign school for a period of 2 weeks. For Secondary School students only. In a host family, full-board accomodation (breakfast, packed lunch and dinner) in a shared bedroom. There will be no other anglophone in the spanish house and no other spanish speacker in the foreing one. Each student spends 2 weeks in a local school visiting and joining in lessons. There is a teacher travelling with each group and a local teacher in charge of helping the group from abroad in each school. Total immersion in a local school, attending lessons as a native student. Full-board accomodation in a host family (breakfast, packed lunch and dinner) in a shared bedroom. Transfers to and from the foreign airport to the families and backwards. If your school would like to arrange this programme, please do not hesitate to contact us, we will provide a spanish school and help you organize every detail.